As the merger of YMCA Teesdale and YMCA North Tyneside gathers pace, so does our need for volunteers. We are asking our community to help. We have volunteering places available within our Youth Work, Cafes and Retail shop or maybe you’d like to consider becoming a Trustee. If you can not volunteer at this time but still wish to help, please consider making a donation here. We have 2 coffee shops. One at the Cockfiled Community Centre in Lipscomb Hall and another YMCA Coffee Shop at the Randolph Centre in Evenwood. As with many coffee shops they can become very busy at times. Each cafe have different opening times and days. These can be found out by looking at the separate pages by the clicking on the names above. Interacting with members of the public. Support community members using the facilities available. 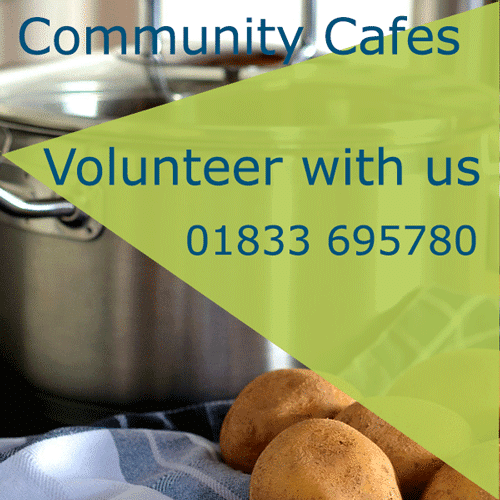 If you are interested in volunteering in our busy coffee shops please get in touch. Telephone : 01833 695780 (during normal office hours). Contact form on the website or via Facebook.